Open tabs before your guests arrive. 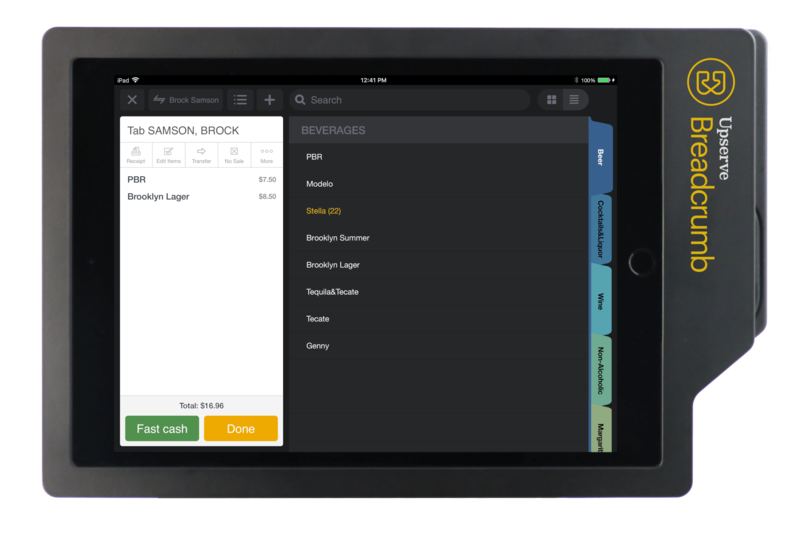 House accounts, customer notes, and easy tab management lets your team focus on selling and driving loyalty. "Easy to use and train staff on and has most all of the functions we need...it is cloud based and I can use Upserve to get analytics from my phone on the go. Now that it has an offline mode, it is much more reliable as well." "The offline mode is key feature. We are in an area of the country that doesn't have the best ISP coverage so this feature alone has saved us thousands of dollars... I've been a long time Upserve user and since Upserve has taken over Breadcrumb (now Upserve POS), the support is significantly better. I can now call a 2:00am on a Saturday and get a live person." "Upserve live is very accurate I can see how my business is doing and customize what graphs I would like to see on the dashboard. 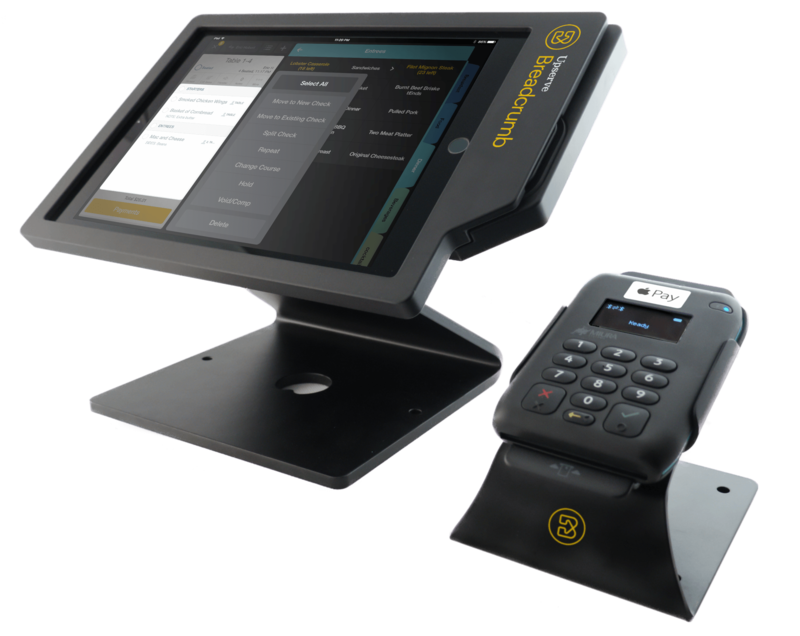 Would recommend to any business requiring a POS system." 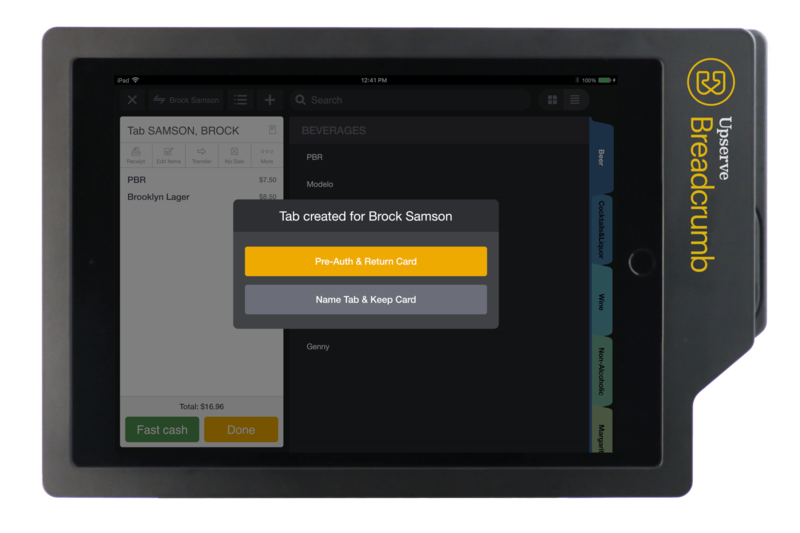 Name a tab with a single swipe makes it easy to find guest checks – and remember guests’ names, even when the music’s loud. Clear floor plans, check notes, and make bottle service a breeze. Don’t get stiffed by fraudulent chargebacks with Upserve EMV.